Today, I am combining Saturday Snapshot, hosted by Melinda at West Metro Mommy Reads, with Weekend Cooking, hosted by Beth Fish Reads, to share with you some of the amazing food we ate two weeks ago in Annapolis on our weekend getaway. You can see my non-food photos from Annapolis here - it's a beautiful waterfront town. We started our food odyssey with lunch when we arrived on Saturday. We headed to a well-known local diner-style place that's been in business since 1965: Chick and Ruths Delly. This popular place was crammed with people - and with delicious food! You can look through the huge menu or peruse the signs on the wall for over 130 different sandwiches, burgers, wraps, and salads, named after local politicians and celebrities. They are also known for their thick milkshakes and malts, homemade pies and breads, and crab cakes. I opted for a crab cake - I only needed one, since they are each a half-pound of almost entirely lump crab meat! My husband said, "That looks like the best crab cake I've ever seen. Is it?" I'd have to say it was. He went with a classic Reuben (my second choice!) and a chocolate malt, which were both also delicious. For dinner that night, we walked down Main Street, reading all the menus in the doorways - sushi, Italian, tacos, Irish pubs (those were mobbed since it was St. Patrick's Day), and more. We settled on Dry 85, a bourbon bar (the bar area of which was also packed with people due to the holiday). It's designed to feel like a Prohibition-era speakeasy, with rough-hewn, industrial, garage-type decor, and they offer extensive bourbon and beer lists, as well as gourmet food. We lucked out and got a table in the back, a bit apart from the green-clad crowds. We both ordered burgers, which were some of the best we've ever had! Mine had blue cheese, caramelized onions, and fig preserves on it. My husband got their famous truffle fries on the side, which were excellent. I can't drink alcohol due to my medical conditions, but my husband made use of their extensive beer list, and I had a 3-ounce sample size of one of their local beers! Wow, did that taste good. The next restaurant we tried ended up being our favorite, and we went there for 3 meals over the next 24 hours! Iron Rooster is a small place by the waterfront that specializes in breakfast (served all day) but also offers lunch and dinner. Besides this Annapolis spot, they have 3 other locations in the Baltimore area (a fact we plan to make use of). We fell in love with this place. Their breakfast menu is mind-boggling, with page after page of creative dishes. On Sunday, I had Crab Hash, a fabulous combination of lump crabmeat, asparagus, home fries, bacon, and roasted red peppers, topped off with two poached eggs, chipotle hollandaise sauce, and a sprinkle of Old Bay - are you drooling yet? The second breakfast I ordered on Monday was their Rancher's Benny (they offer 5 different and creative versions of eggs benedict), with a fried green tomato, roasted corn salsa, and roasted poblano sauce. Party in my mouth! My husband tried their Chicken & Waffles the first day, and Latkes and Eggs the second day (he was trying to go light!). And I saved the best for last - each day, they make 3-4 types of homemade pop-tarts (called Roos-Tarts). Monday, we tried the chocolate banana, and it was amazing. No wonder we took an hour-long walk after breakfast and still felt horribly full! We also ate dinner there Sunday night, which was good but not as special as their breakfasts - the one stand-out at dinnertime were the deep-fried black-eyed peas as an appetizer, which we gobbled up (hence the almost empty photo!) - why has no one ever thought of this before? Iron Rooster Chocolate Banana Roos-Tart - mmmm! In between all our Iron Rooster meals, we tried to go lighter at lunch on Sunday with a stop at Vida Taco Bar on Main Street. We didn't stuff ourselves quite as much there, but it was still mouth-wateringly delicious. They specialize in tequila and tacos, and the very creatively filled tacos are offered ala carte, so you can order four different kinds if you want or even just one taco. We each opted for two different tacos, each with different fillings, and a side of guacamole to split. Everything was wonderful - super-fresh, local ingredients, and wonderfully unique flavor combinations. So, we had a very food-filled weekend, and every single bite was delicious! We were quite surprised and impressed by the large number of restaurants in Annapolis and the high quality at each one. Time for me to go make breakfast now - I wish the Iron Rooster was closer! 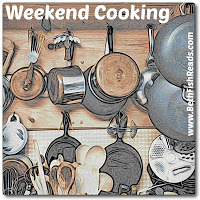 Hope you are enjoying a great weekend. Happy Easter! If you're a regular reader of my blog, then you know how much I love going to Booktopia each year. It is hosted by Northshire Bookstore in beautiful Manchester, VT, and is a totally unique 2-day book event held the first weekend in May. Booktopia is different from trade shows, like BEA, or standard author events, like bookstore readings, because a group of authors and readers spend an entire weekend together - sharing meals, going to book Q&A's (some of which are more like a book group discussion than a standard author event), and even playing a rousing game of book trivia together! 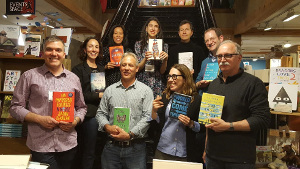 It's a lot of book-related fun with a wonderful group of book lovers and authors. 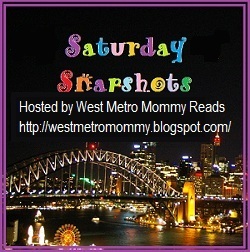 You can read about and see photos of my own Booktopia experiences in 2017 and 2015. Booktopia 2018 is being held on May 4-5 this year at Northshire Bookstore in Manchester, VT (a wonderful town worth a visit anyway!). For more information, to see a list of authors, and to sign up, go to the Northshire Bookstore website, click on Events in the menu bar, and scroll down to Booktopia 2018, May 4-5. Not living in VT is no excuse - lots of people travel from all over the country for Booktopia! It's a 7-hour drive for me. And if you do sign-up, let me know! I would love to meet you there! 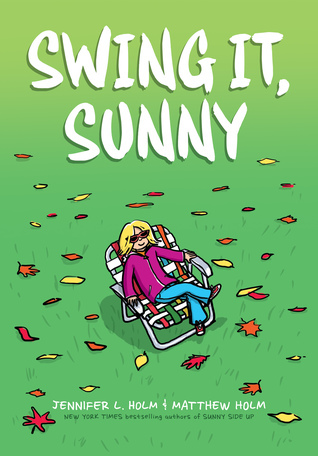 Every summer, I download free audio books from SYNC, which offers two different freebies each week. 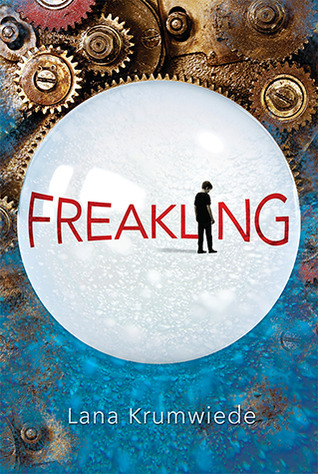 One of last summer's downloads was Freakling by Lana Krumwiede, which is book 1 of The Psi Chronicles. Although I'm not always a fan of this type of fantasy novel that takes places in a made-up world, I did end up enjoying this intriguing and fast-paced story. Twelve-year old Taemon lives in a world where people do everything using a kind of telekinesis called psi. His Mam cooks dinner by thinking of the onion chopped and the dough kneaded, and his Da drives a byrider or unisphere by thinking about how its parts work together and moving it with his mind. Taemon already seems to have strong psi and a talent for figuring out how things work, but his jealous and competitive brother, Yens, always wants to be better at things. When Taemon loses his psi after a traumatic incident and the town leaders find out, he is sent away to live in the Colony, a place outside the city walls where the powerless live. Taemon is surprised to find that it's not that bad - in fact, everyone there is kind and seems happy. It takes some adjustment to get used to having to use a fork to eat, brush his own teeth, and pick things up manually, but he can see there are some advantages to this kind of living, too. When Taemon mistakenly leaks a secret that could put his new friends in the Colony in danger, he must decide if he should risk everything to sneak back into the city he was exiled from. 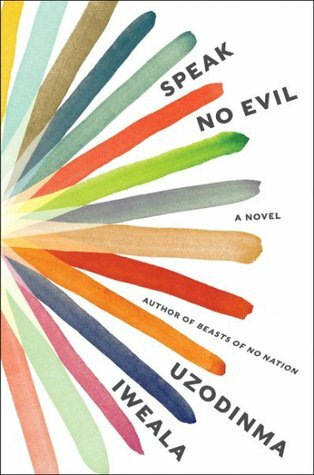 Although I sometimes find these kinds of stories with made-up names, places, and magical powers overcrowded with unrecognizable words and concepts, I listened to Freakling on audio and quickly found myself wrapped up in the characters and the story. There is a lot of action and suspense but also plenty of warmth, especially in Taemon's character and some of the people around him, including some of his family and his new friends. Yens is basically just evil, which you pretty much know from the first sentence of the novel! I wasn't thrilled to find out this is the start of a series because I prefer stand-alones, but there was some resolution of some of the challenges at the end, while making it clear that the story would continue. This interesting and well-written dystopian fantasy kept me rapt from beginning to end, and its 300+ pages went by quickly. Disclosure: I received this free from SYNC. My review is my own opinion. You can listen to a sample of the audio book at this link. Or order Freakling from Book Depository, with free shipping worldwide. When I posted my last Saturday Snapshot 2 weeks ago, A Tale of Two March Storms, I never imagined we would get two MORE March snowstorms, for a total of 4 Nor'easters in 3 weeks...but we did! I'm not going to post more snow photos, though, because I am so sick of winter, and it is now officially spring (though we did get a foot of snow on the First Day of Spring). Heading south over the Susquehanna River - where are we going? We stayed at a lovely inn right in Old Town - great Main Street! Blue skies & sunshine on Sunday - lovely views of the harbor. We visited the Maritime Museum in an old oyster packing plant. Selfie in front of the Maritime Museum on a gorgeous day! View from our hotel room - over the town and to the Bay! LOTS of sailboats going in and out of the harbor! The Maryland State House was our national capitol for one year. The Naval Academy is right there - the town filled with cadets in uniform Sunday night! Hope you are enjoying a great weekend! The sun is shining here, so hopefully our snow will melt soon! 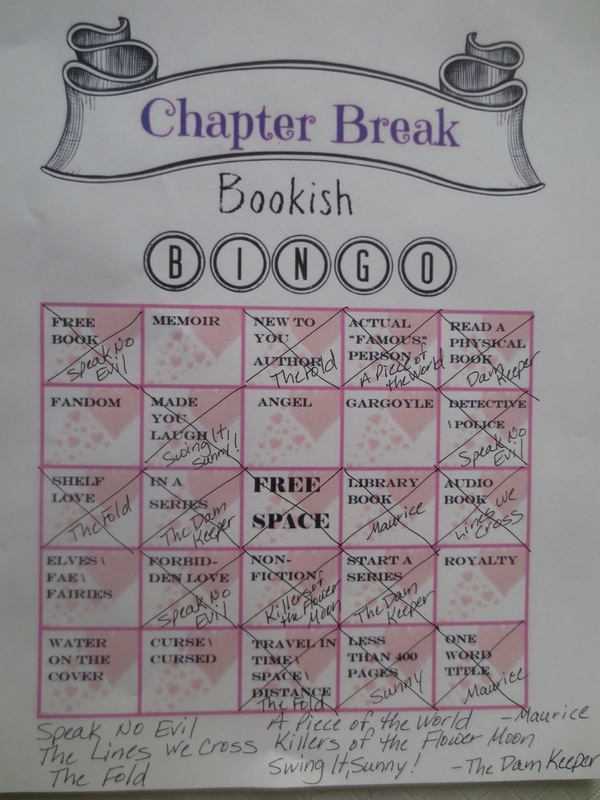 I skipped my movie and TV reviews this week after a mini vacation so that I could catch up on book reviews and post my February summary before the very end of the month - I'm making progress! Eight books in all is a very good month for me, especially for a short month! I read one nonfiction book and seven novels, in a wide variety of genres, and an excellent variety: 1 YA, 2 middle-grade, 2 graphic novels, 5 adult books, 1 classic, and 2 books on audio. I enjoyed all of them very much. It's hard to compare them and choose a favorite when they are all so different! I guess A Piece of the World is the winner (if I must choose just one), but I would recommend them all. 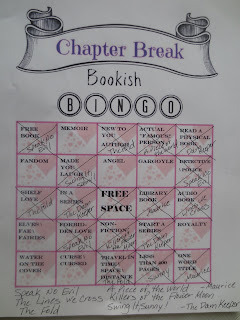 This is my favorite part of my monthly summary - updating my Reading Challenges! 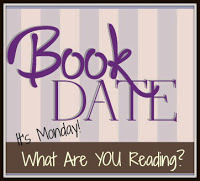 I added 3 books from my own shelves for my Mount TBR Reading Challenge. 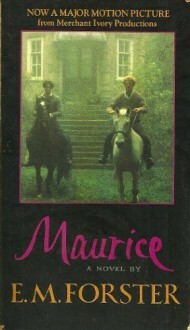 For the Monthly Motif Reading Challenge, February was A One-Word Title, so Maurice by E.M. Forster fit well. That also counts in the same category (one-word title) for the Back to the Classics Challenge. 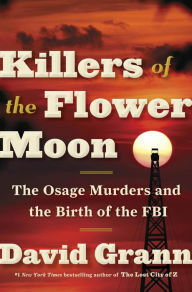 For my new 2018 Badass Books Challenge, I added A Book That Will Make You Smarter (Killers of the Flower Moon), and A Book Based on a True Story (A Piece of the World). I added Australia and another UK for my Travel the World in Books Reading Challenge. For my 2018 Literary Escapes Challenge, I added four new states - DC, OK, PA, and ME. 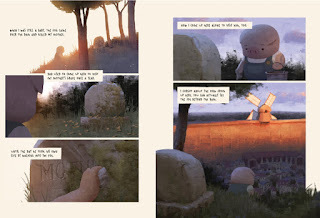 The Dam Keeper is an unusual graphic novel, in part because of its unique genesis. 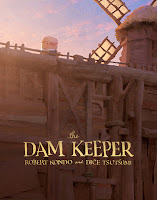 We are used to seeing book-to-movie adaptations, but this story was originally an animated short film created by Robert Kondo and Dice Tsutsumi. Last year, the two teamed up to adapt their 2015 Oscar nominated short into a series of books. I recently read the first book in the series and found the original dark fairy tale compelling. Pig is the dam keeper, like his father before him. Still just a kid in school, Pig carries a huge responsibility: to keep the dam in working order to hold back the black fog that threatens to engulf their small, peaceful town. His mother died, and his father - the previous dam keeper - walked off into the fog and was never seen again. Pig leads a lonely existence, except for his best friend, Fox. She is popular and lives a normal life with a loving family, but she doesn't tease Pig for his unusual circumstances, like the other kids do. After Pig's calculations show that the fog is returning with an alarming frequency, the two friends - along with the local bully, Hippo - are washed from the dam and outside of the town in the biggest wave of dark fog yet. Now, they need to find their way back...AND figure out how to save the town. Although the animal characters are cute and are clearly kids themselves, I intentionally left off an age-range here, because I think The Dam Keeper is great for all ages (its product details recommend 7 - 11 years). In fact, the many dark and sinister scenes of the fog might be a bit frightening for the youngest kids. Many of the pages that don't show the dark fog, though, are colorful and cheery, providing a sharp contrast to the danger that threatens the town. The characters are endearing, and Pig's struggles - other than the fog - are things that all kids can relate to. My only complaint (which is really a compliment) is that this engaging book was over too soon, leaving me wondering what would happen to Pig, Fox, and Hippo next on their journey. I guess I have to wait for book 2 (due out July 10, 2018) to find out! 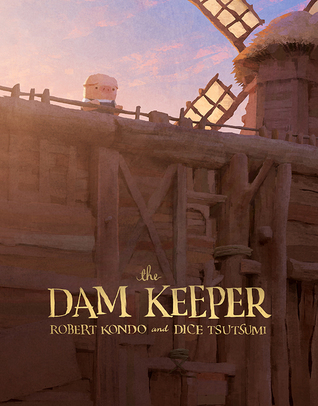 You can watch the Oscar-nominated animated short The Dam Keeper for $1.99 on Amazon. My husband and I just watched it, and it was very good - though the plot was quite different than the book, which is setting up a longer adventure story. I read and enjoyed Christina Baker Kline's novel Orphan Train a few years ago for a book group, so I was excited to hear that book had been chosen as our All-County Reads book for 2018, and that Kline would be coming to town in April for an author talk (these are fun events, and I try to go every year). 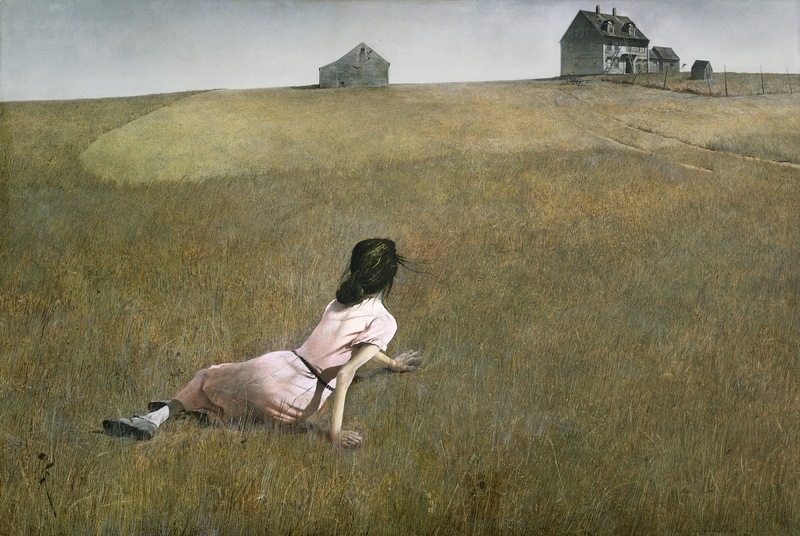 I had heard that her new novel, A Piece of the World, was based on a painting, and although I know next to nothing about art, the artist, Andrew Wyeth, is from our area, which added some local interest for me. I thoroughly enjoyed listening to this historical novel that tells the fictionalized story behind the subject of the painting Christina's World. The novel opens in 1939, with Christina working on a quilt in her old family farmhouse in coastal Maine when she first meets the painter Andrew Wyeth, who is dating her young friend, Betsy, and wants to paint a picture of her house. Christina and her brother, Alvero, live in the big farmhouse on their own now, both in their 40's. In the next chapter, the timeline jumps back to 1896, when Christina was a small girl living in the same house with Al, their parents, and her beloved grandmother. There was something wrong with Christina's legs (possibly polio?) and she was in constant pain, but she was frightened of being sent away from home and so refused medical help when her parents suggested it. She adapted to life with a pronounced limp and chronic pain and learned to get by. Meanwhile, additional brothers were born, her grandmother eventually died, and Christina grew up in the house. The story moves back and forth from the present (in the 1940's) to the past, gradually building the story of Christina's life as a child, teenager, and later, an adult. There is love, tragedy, pain, and the simple pleasures and hard work of rural life. In the present, Christina gradually gets to know Andrew as her house becomes his favorite place to paint when he's in the area each summer (he lives the rest of the year here near us, in Chadd's Ford, PA). 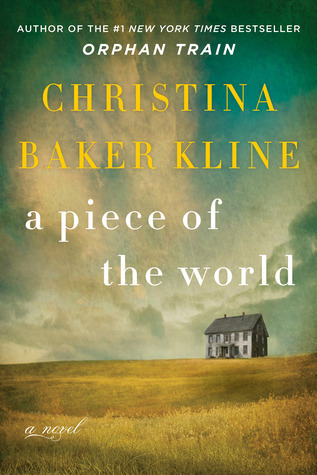 Kline provides details in both time periods that paint a vivid picture of life at that time, through two world wars and countless other events, both big and small, that affect Christina's life. Against the historical backdrop, we follow the highs and lows - and mainly the small everyday struggles and joys - of Christina's life, which is not easy, even when things are going well. Eventually, the story leads to Wyeth making the famous painting of the house with Christina in the foreground (see below). The audio book was captivating (you can listen to a sample below), feeling as though Christina herself is telling you her story. Building on both historical facts and creative fiction, Kline has created a moving, distinct story of one strong woman whose life was forever captured in a painting. A brief summary of the fascinating historical background of Andrew's meeting of Betsy and Christina and the paintings he made of them. Or order A Piece of the World from Book Depository, with free shipping worldwide. 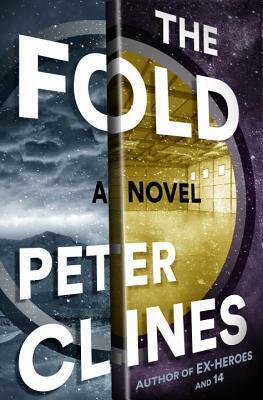 Last May, while attending Booktopia at Northshire Bookstore in Manchester, VT, I chose a book from their sci fi section based on a shelf talker with a rave review from one of the booksellers: The Fold by Peter Clines. I gave it to my husband for Father's Day, and he enjoyed it. 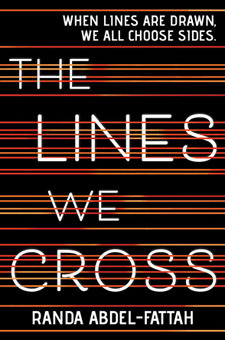 I finally found time to read this mind-bending novel last month and found it fast-paced and intriguing, with an original plot. Mike is living a quiet life as a high school English teacher in a small town in Maine, but his friend Reggie knows he could be doing much, much more. 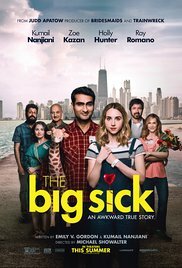 Mike is super-intelligent and has eidetic (sometimes called photographic) memory, and Reggie has a project that needs his unique talents. Reggie works for DARPA (Defense Advanced Research Projects Agency) and has a team of scientists that have made an astounding discovery, something that will allow teleportation for the first time in history. But the scientists are far too secretive about what they've developed, and now there are hints that maybe something has gone wrong. Mike is intrigued enough to agree to spend his summer vacation at the top-secret research facility in California, but the more he gets to know the team and learns about their invention, the more concerned he becomes. This project could actually destroy them all - and maybe even the entire world. It comes down to Mike's unique talents to unravel the mystery of what is actually going on. This fascinating story grabbed my attention almost immediately. It reminded me in some ways of Dark Matter by Blake Crouch, one of my favorite reads from last year, with its suspenseful sci fi plot and thought-provoking "science" about bending time (and more). The Fold, however, is unique, with its own jaw-dropping twists and an action-packed narrative. In fact, that might be my only criticism of this novel - toward the end, it becomes very focused on action, with several violent battles. For many sci fi fans, that's a plus (my son loves battles in his fiction! ), but I prefer more thoughtfulness (of which there is plenty) and less hostility. That's a minor quibble, though, as overall, the novel kept my attention rapt and my brain marveling over the possibilities, which is what I like most about a good sci fi story. Or order The Fold from Book Depository, with free shipping worldwide.